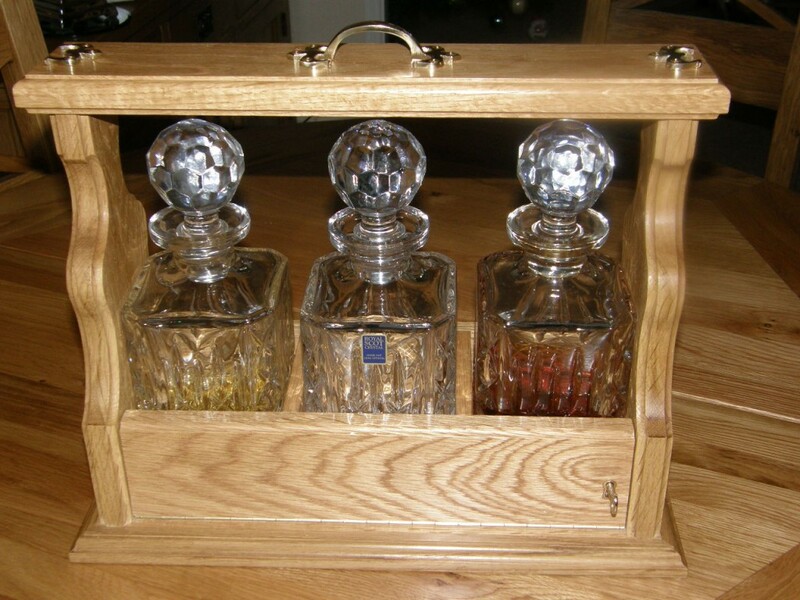 The client called and explained he had three crystal decanters that he would like an oak lockable tantalus being hand crafted to keep them in. 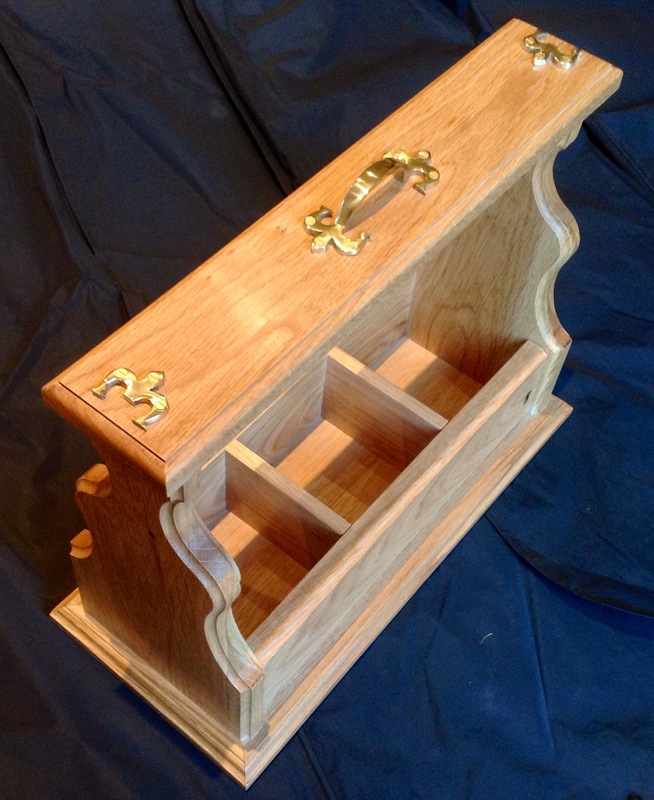 He wanted a traditional style and a golden oak colour that would match his existing furniture. 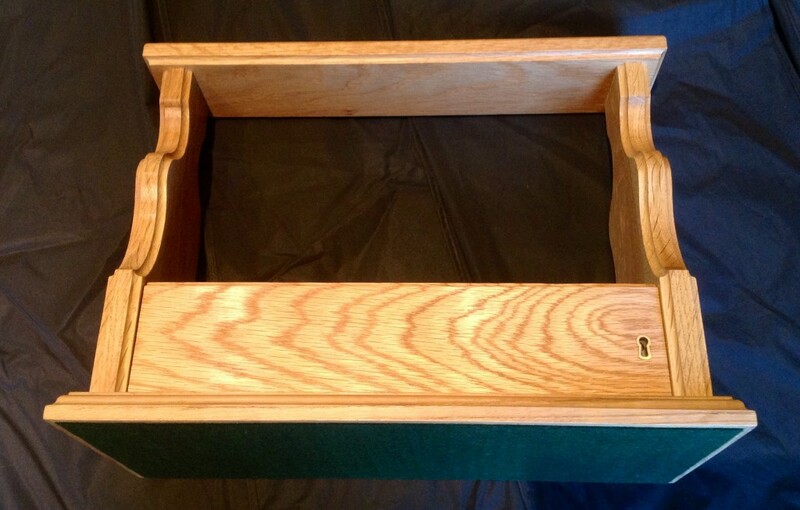 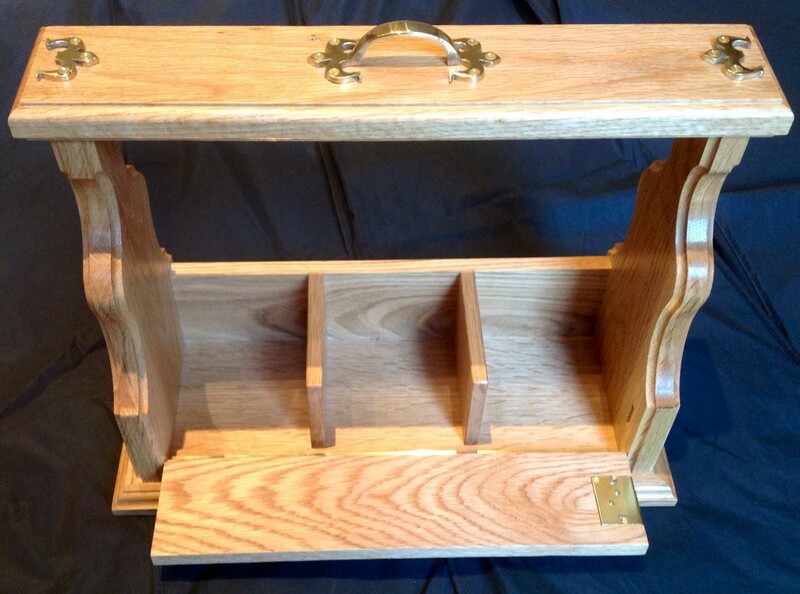 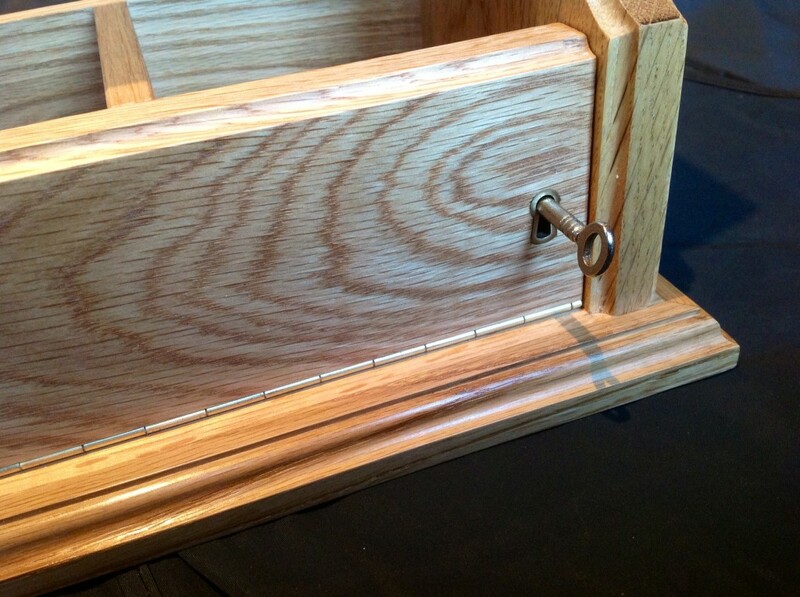 The outcome was this three decanter solid oak tantalus with lockable front flap.